Human life always has a certain rule to be born and grow up. When growing up, they are responsible for themselves, their families and society. However, if they want to do that big responsibility, they must have a lot of willpower and determination. Therefore, you should create yourself something that is work and money. Once there were these things, the demand for housing or food is raised quite well. 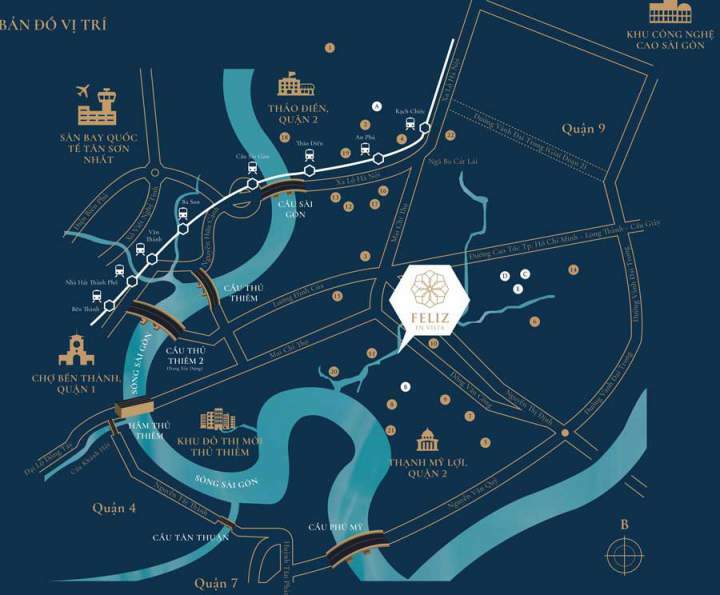 Feliz E n Vista Apartment is located in the administrative center of District 2 – Ho Chi Minh City, connecting the city center. It is easy to move to the Thu Thiem urban area, Phu My Hung with a few minutes. The project located in the core of ​​residential area on Dong Van Cong Street, An Phu District 2 HCMC. Scale project has the area of ​​2 hectares, with 3 apartment blocks (800 apartments) and 1 block of serviced apartments for rent. Along the Saigon romantic river, the project belongs in front of Mai Chi Tho Street and Thu Thiem urban area. This route helps us move to other prosperous locations easily and in a short time. It takes 15 minutes to move the center of District 1, 10 minutes to go to Phu My Bridge, Metro supermarket and only 5 minutes to arrive Long Thanh-Dau Giay Highway. There are a lot of important areas of other investors such as people’s committees, schools, hospitals. The location is economic exchange and convenient transportation. 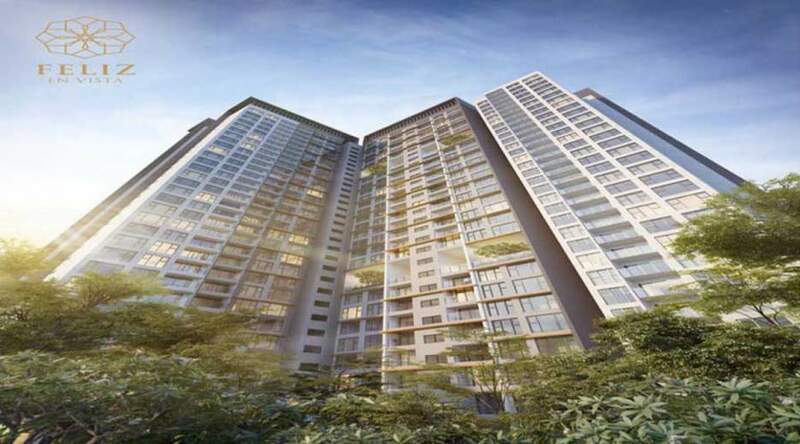 Feliz En Vista Apartment District 2 – Ho Chi Minh City was developed by the prestigious investor – Capita Land, with many projects welcomed and trusted by the clients such as The Vistar, Skit Star … to meet the demand of housing area in the east of city. The current transportation system of this area is connected easier as well as more and more perfect to facilitate circulation. The Feliz En Vista Project was born in order to contribute the east area developing in all aspects of District 2 center. In addition, the Feliz En Vista project has been developed by combining with a variety of individual flats with unique and innovative designs in every detail, completed with utilities from schools, hospitals, commercial center … with friendly surroundings and more harmony with nature. So when the income is rising, people pay more attention to the material. Detailed inquiries about the Feliz En Vista apartment will give you confidence in the choice and expectations you have. What is the area of ​​Feliz En Vista? Feliz En Vista apartment is a large project (over 2ha) in the center of District 2 that is adjacent to Mai Tri Tho Street. The project has a total size of nearly 17000sqm. It consists of 17 floors and 960 apartments. This project is expected to be able to serve up to 2,200 people. Here we provide a full range of services such as commercial centers, schools, basement parking lots, gyms, beauty services for women and many orther services. Built on a very beautiful terrain, traffic and scenery here are also more favorable to nature and people. Because it is located near the Saigon River, you can see the entire river at night. You can also take care of yourself at home thanking to the home care services provided. Along with the favor of nature and terrain, that is accompanied by the meticulous design and construction, we designed this apartment according to European style. It shows the luxury and modern of the house. The combination of nature and modern luxury style is sure to be the perfect choice of customers who have a need to find a home that is both geo-conditional and housing form. Especially the interior of the apartments, we chose and arranged in harmony in terms of feng shui as well as color to make the combination in the best way. With a living space extremely ideal for stylish guests. The apartments are modern, sophisticated, stylish and luxurious that are the prime objective of the Feliz en vista apartment project. With the average price and receive the 20% payment by the investors making the best financial direction to bring those who intend to buy apartments. Closer to nature, the air giving you the feeling of relaxing for days of hard work. Come to the Feliz En Vista apartment to live and enjoy your life more fully. I Have Seen Feliz En Vista District 2 And Like It, Why? Waterina Suites, Vista Verde and Feliz en Vista: Which project is suitable for you? When An Official Feliz En Vista Apartment Is Opened?